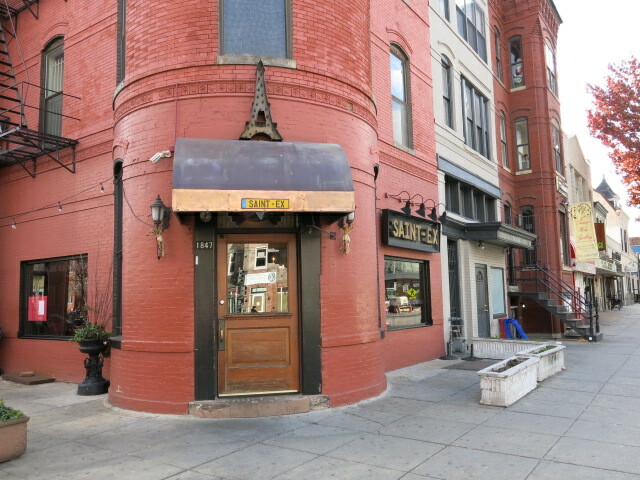 “The best cocktails in the city are being served on 14th Street at Bar Pilar and Café Saint Ex, where legendary DC bartender Owen Thomson has taken over as Beverage Manager. “I want to bring some of the interesting products and techniques that I’ve found along the way to the art of drink-making in a neighborhood bar,” said Thomson, who left Range to take over the sister establishments. Thomson was so well-loved by customers at Range (home of “Top Chef” Bryan Voltaggio) that he has been nominated Bartender of the Year for his pouring prowess and friendly demeanor behind the bar. Thomson said that despite his popularity at the upscale destination, he was ready for a change. “I prefer bars over restaurants,” he said. “A restaurant bar is just a stop-off point – you’re there for the dining experience. In a bar, you’re there to relax, hang out. 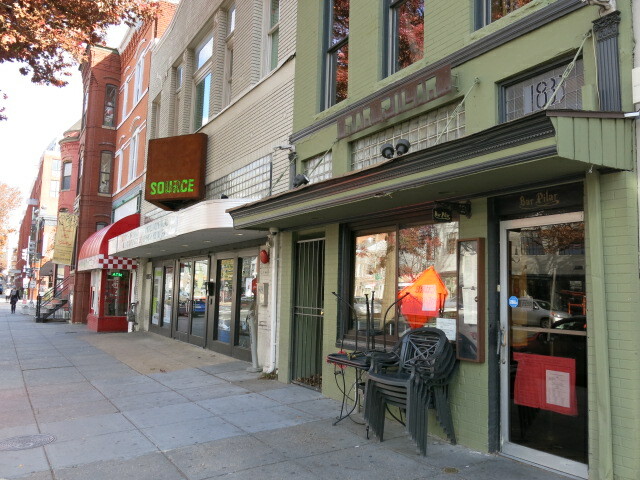 There’s a communal atmosphere.” This is always how it’s been for Bar Pilar and Café Saint Ex – destinations long before the newfound popularity of the U Street corridor, where the sister hot spots are now like familiar friends in a sea of new faces. This move is in keeping with the company’s tradition of small restaurants with recognition for their bar programs. Former Bar Managers for the group include Jonathan Fain (now General Manager of Cafe Saint Ex) and Adam Burnbach of 2 Birds, 1 Stone. Regulars and newbies are sure to want to be first to sample one of Thomson’s newest creations at Bar Pilar including the amusingly named Middle Child (rye whiskey, simple syrup, lemon and fennel) and Lose the Moustache (Mezcal, grapefruit, beer and sriracha salt). “Mixologist” is one word for people like Thomson who are equal parts scientist and cocktail chef, but Thomson pooh-poohs the newfangled technical term. “I’m a bartender,” he said. Still, Thomson is always tinkering, trying new recipes, meticulously measuring, stirring, seeking that perfect balance of flavors, which is what makes his cocktails among the most sought-after in the city. The new cocktail menu at Saint Ex is in process and will roll out in the coming weeks. Thomson has big plans for the future. In departing from Range, he brought with him two of his favorite bartenders, Ben Wiley and Noah Broaddus. He set to work immediately training them on how he envisions these bars so that there are never any empty stools. Once his mission is accomplished, he will hand the reins over to his protégés and move on to his own bar on Florida Ave., slated to open in a year or two.